Despite an electric atmosphere in PNC Arena, Carolina handed No. 15 NC State a 90-82 loss last night behind 21 points from senior forward Luke Maye. 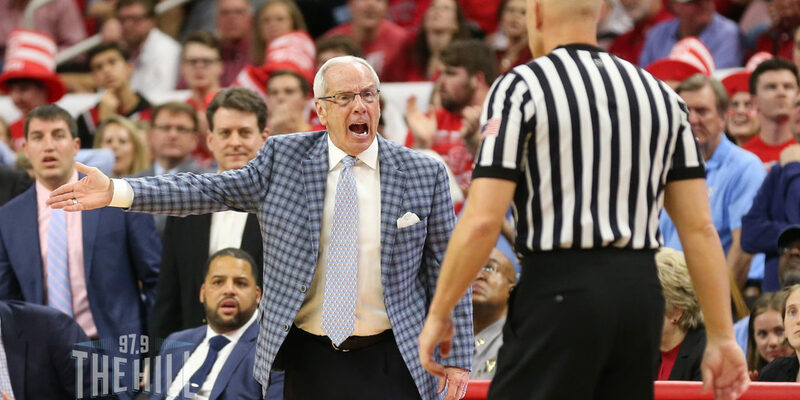 UNC held off multiple rallies from the Wolfpack over the course of the game, something that Roy Williams touched on in his post-game press conference. It was also Roy Williams’ 34th win over NC State in his career and the 29th win in his time with North Carolina. Roy Williams improves to 34-4 all-time vs. N.C. State, including a 29-4 record at UNC. Carolina’s senior class has also gone 4-0 against NC State in PNC Arena, which Maye spoke about following the win. "Always love coming to play in PNC… Yeah 4-0. It feels great. Coming in here and coming out with a win. I feel like I have played pretty good here. I just feel like it is a second home to me." After such a dominating stretch of performances, some fans took social media to question whether this matchup could be called a rivalry anymore. One such person was former Carolina star Theo Pinson, who suggested that the Tar Heels should own the rights to PNC Arena, where NC State plays its games. “We might as well own PNC also! ?” Pinson said on Twitter. UNC returns to action on Saturday against Louisville. Tip-off is scheduled for 12:00 p.m.